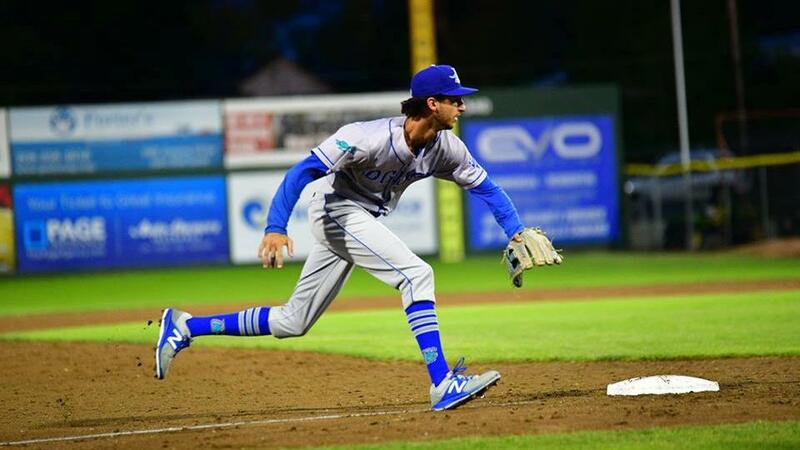 The Raptors plated three runs in the fifth inning and another in the seventh to double their two runs from Friday night, but the host Idaho Falls Chukars didn't relent in a constant onslaught to the tune of a 12-4 final. By the time Ogden saw their first four hitters reach on base hits in the fifth, including the team's first two extra-base knocks of the season, Idaho Falls was already up by six. One Chukars run scored on a two-out single after a close safe call on a stolen base attempt in the second inning, and a pair of walks knocked out the Raptors' starting pitcher in a four-run fourth marred by three wild pitches and a passed ball. Another scored on a sacrifice fly after a double and passed ball in the sixth. After being shut down with just three base runners in the first four innings, Ogden's offense hit their stride in the fifth. Catcher Jair Camargo opened with a drive to left-center field, and he motored around the third base. Jefrey Souffront's single plated Camargo, and then Preston Grand Pre doubled to put two in scoring position. A Jeremy Arocho single and Jacob Amaya fielder's choice knocked in the next two runs. Amaya then scored after drawing a one-out walk in the seventh, the first free pass taken by the Raptors this season, and scoring on Pascal Amon's drive off the right field fence. It was a story of too little, too late for the visitors. Idaho Falls had added two runs in the bottom of the sixth and put up three more in the seventh with a single tally in the eighth to close the scoring. The Raptors look for their first win in game three of the series on Sunday, a 4:00 start from Melaleuca Field. The season-opening four-game set will conclude Monday, after which Ogden heads back to Lindquist Field for their home opener on Tuesday against the Orem Owlz.